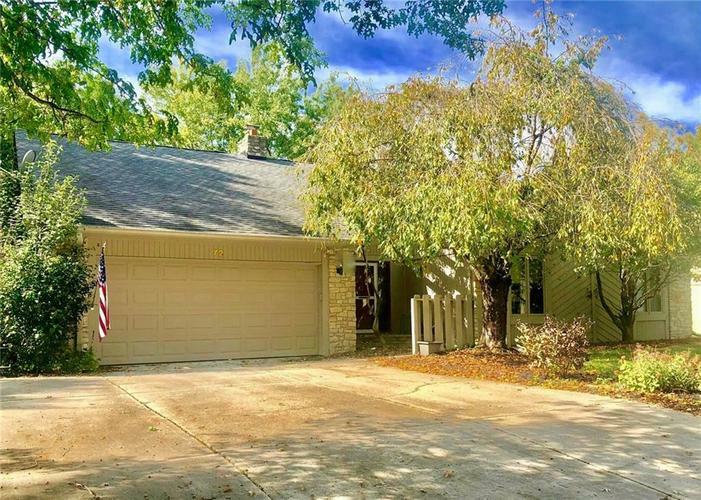 Sprawling 3 bed/2 bath ranch on a quiet, freshly paved, tree-lined street in coveted Wellington Northeast. There is too much charm to list! Hardwood floors, vaulted ceilings, skylights, built-ins, and wood beams in the great room. Updated tile and counters in the kitchen. Owner's suite features walk-in closet and double sinks in the bath. The spacious sunroom overlooks the serene backyard, with a multi-tiered deck ideal for entertaining, storage shed, and mature trees. Opportunities like this don't come along every day! Directions:Allisonville Road to 146th Street. North on 146th St. to Herriman (Left). Follow to Chesterfield, home on left side of Drive.